First impressions are vital in the workplace, especially when it comes to your appearance. So, that's why it is important to set your standards high when it comes to your company's uniform policy. The number and type of interactions employees normally have with customers and clients determine the formality of the workplace dress code. In workplaces that are often visited by clients who expect their counselors to exhibit professionalism, the dress is often formal. So, whether it be a company starting out or an established franchise, we hope you find the following tips useful when it comes to creating your company's uniform policy. Employee feedback: Hold a meeting with employees and open suggestions on how to design a comfortable yet purposeful uniform policy. After all, they act as representatives for your company, and an employee comfortable in their uniform will surely boost morale. Distribution of uniforms: It is essential that before creating your uniform dress code there is an agreement regarding the purchasing and distribution of the work uniform, between employees and management. Expose your brand: It's important to understand the company's mission and vision and convey it through the way staff wear their uniform. 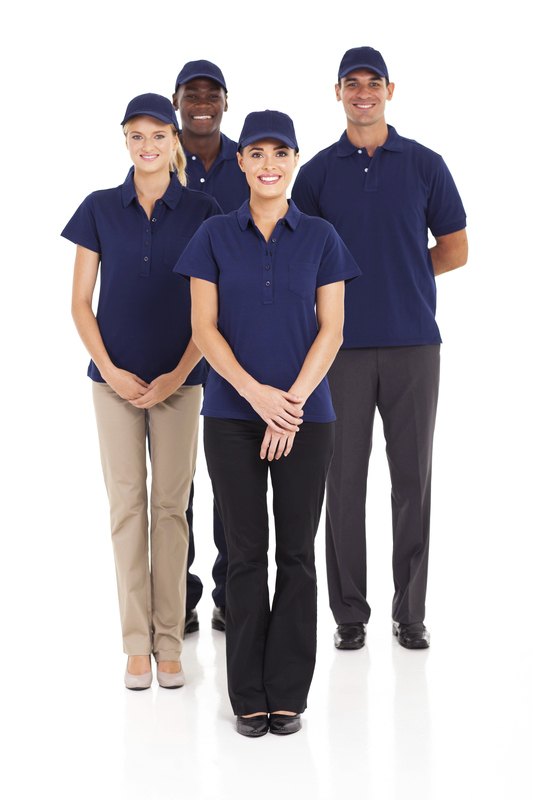 Your company's uniform should showcase your company values and the service you provide, all important factors when it comes to finalizing a company's uniform policy. You can display your company's logo on the breast pocket, or stamp it on the back! Businesses can work with a blank canvas when it comes to designing their uniforms, as there are very few restrictions in place. However, there are potential pit falls to avoid when it comes to your design, as discrimination may occur if a company's uniform isn't properly communicated to its employees. Businesses should be aware that they cannot prevent employees from wearing religious apparel unless there is a strong reason, such as safety. Even if you create a fair and understandable policy, some employees will still fail to comply with it. Fortunately, you'll be able to respond accordingly if the consequences are clearly stated in the final draft of your company's uniform dress policy.